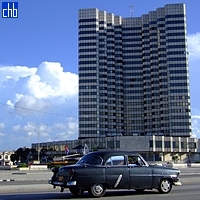 In a central intersection of Vedado neighbourhood, at one side of Havana’s famous waterfront avenue Malecon, with a beautiful view of the ocean and the city, rises Hotel Melia Cohiba, the capital’s preferred five-star hotel. 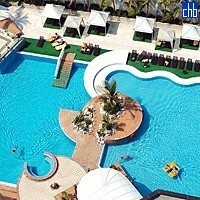 Hotel is an ideal option for business and pleasure. 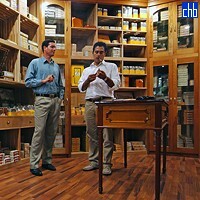 As soon as you enter the Melia Cohiba, there is a sense of quality. Marble surroundings and a magnificent floral centre piece placed between 2 bars, one of them laden with beautiful art work and a grand piano. 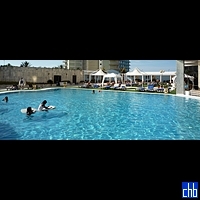 Melia Cohiba hotel consist of 462 magnificent rooms, including Double, Junior and Senior Suites. 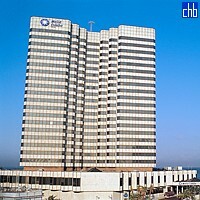 The hotel offers rooms for non-smokers and for guests with some physical disability. 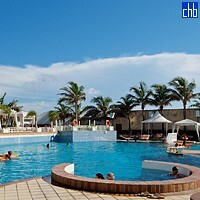 Facilities of the hotel include a swimming pool (not very big but a good place to catch a tan), Spa, restaurants with International cuisine, cigar-sampling cafe, gym, shops, conference rooms, equipped with the most modern technologies and many more. 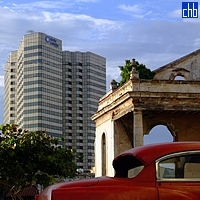 From the hotel you can visit Tropicana or renowned Havana Café, Havana’s only restaurant reminiscent of the fifties. Located in the Vedado district overlooking to the Malecon sea drive and the ocean; 258 modern and spacious Standard rooms that offer a marvelous view of the Cuban capital. 45 spacious Suites, all with an exquisite modern design, functional furniture and a view of the Havana Malecon with its turquoise blue ocean. 30 Standard Junior Suites: modern, functional and with all the necessary comforts unimaginable. Very spacious, complete with an independent area for working. Large glass windows offer a scenic view of the city and of the sea. Standard THE LEVEL rooms are located on the 18th and 21st floors. 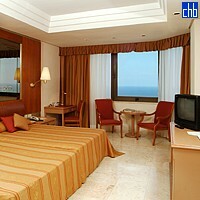 They come with views of the sea and added personalised services such as Executive Lounge access. Junior Suite THE LEVEL rooms are on the 18th and 21st floors. In addition to the features of the Junior Suites, guests also enjoy added exclusive services and a Hydromassage bathtub.